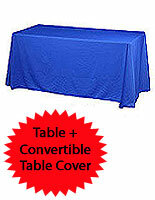 Wholesale Table Skirt Company Sells Table Skirt Sets that Include a Custom Throw and Folding Table! 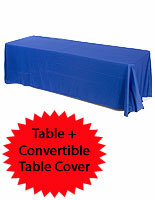 This Tablecloth is Designed to Cover Three Sides of the Table Leaving Room for Staff! 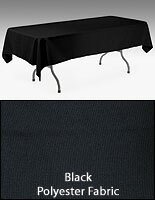 This table skirt includes a folding table. 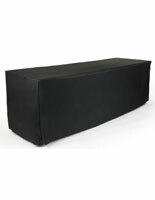 The table skirt is an economical throw that attracts attention to your exhibit. 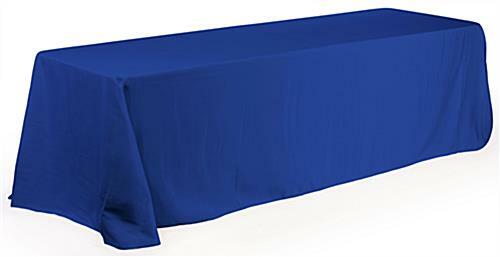 Our company sells this table skirt in royal blue polyester table fabric. 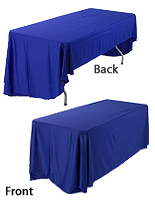 The table fabric covers the sides and front of the foldable table, leaving the back partially uncovered for holding merchandise. 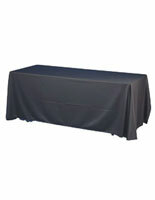 The table skirt drapes beautifully for the ideal finishing touch to your booth! Entice attendee's awareness from competitors utilizing this foldable table. 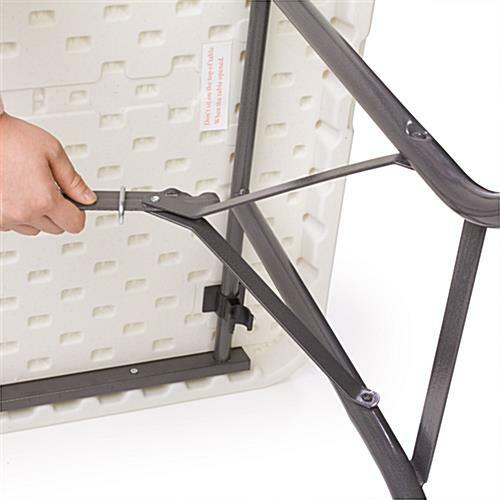 This foldable table is the ideal addition to any big venue such as trade shows, foyers, concerts and banquets. If you are attempting to exhibit at a event, this table skirt with foldable table shall be an optimal piece of furniture for your booth. This occasion table, foldable table is the perfect way to promote your products. 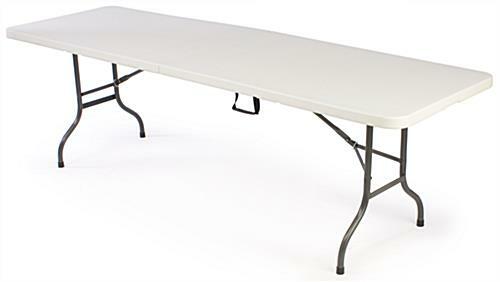 With long-lasting aluminum legs and a polyethylene acrylic tabletop, the foldable table holds up through years of continuous use and handling. This table skirt with foldable table, also recognized as an occasion table, is the most inexpensive choice for on-the-go exhibitors without having to waste cash on renting tables. 96.0" x 29.0" x 30.0"
48.0" x 30.0" x 3.6"